The life of a Follower of Christ is never about the individual. God created us, and clearly calls us, to go out and serve others. 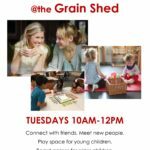 We have a number of teams that serve on a Sunday and make our service great, from hosting in a service to making a latte in our café there are a number of opportunities to get involved. We serve our wider community of Swan Hill in a number of different ways. We have run blitzes at a local Primary school and we are also involved in running the community Carols in partnership with other churches. 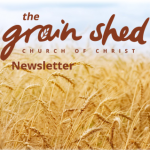 At the Grain Shed we have a long heritage of mission, and partner with a number of great organisations who are doing God’s work around the world. We partner with Two Hands International in India, Compassion in Northern Thailand as well as a number of individuals sent from the Grain Shed around Australia and the world.